Ideal for detailing with DIPBROW® Pomade. 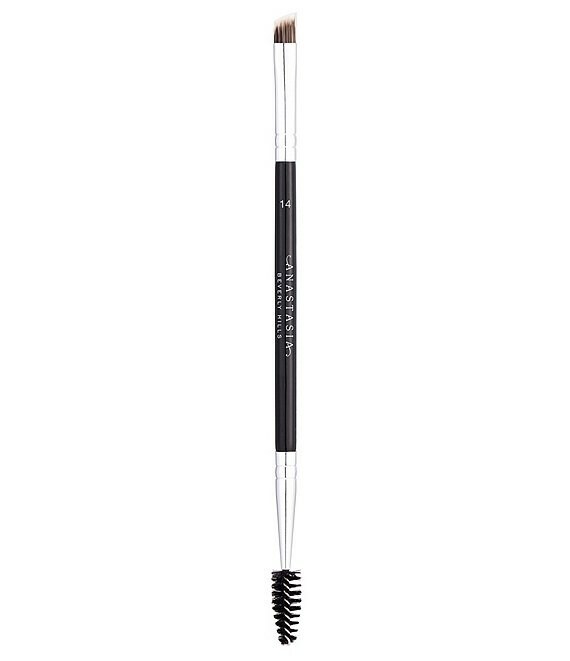 This angled flat brush has firm synthetic bristles, a petite head and a long handle that make it ideal for perfecting arches. The custom spooley end is designed with a precise width and stiffness to blend product into the brows. Results are soft and natural-looking.